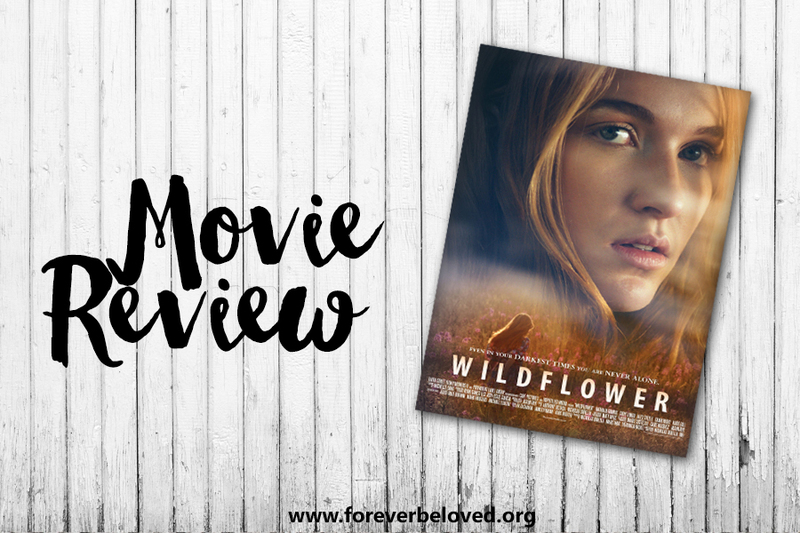 I had never heard of Wildflower until I was given the opportunity to watch and review it. I am so happy that I gave this movie a try because it was a really great movie! There isn't anything predictable or typical about this movie. It's not a typical drama. It's not a typical, feel-good story with a happy ending. It’s so much deeper than that. This movie is very suspenseful. There’s never a moment when you’re bored. You’re always wondering what’s going to happen next and your eyes are glued to the screen the entire time. There were three main aspects of this movie that stood out to me. Grief, trauma and faith. I think every single one of us can relate to those. One important aspect of Wildflower is that it touches on grief. People handle grief in a number of ways. Some hide it behind a smile. Some are outwardly upset. Others cry to themselves. Sometimes, people handle grief with denial. You will see all forms of grief in Wildflower and it will definitely tug at your heart strings too. Another aspect is trauma. I think we all either have dealt with our own trauma, or we know someone personally who has. Just as people handle grief different, every one of us handles trauma differently. Sometimes the only way to cope with it is to suppress those memories and make them less painful. Eventually, we all have to heal. Wildflower takes you on a journey of a girl trying to find the answers to something terrible that happened to a young woman. In finding the answers, you will see so many lives touched and healed. You will also see how faith plays a very important role in healing and moving on. And last but not least, faith. Wildflower is filled with the theme of God's ultimate healing power! That through Him, we have hope and a deeper understanding of the truth. Wildflower is gripping, suspenseful, emotional, touching and quite powerful. It displays a perfect amount of love, faith, devotion, and strength. It gives a voice to those who may have yet to be heard. Special thank you to Icon Media for providing me with a complimentary copy in exchange for my honest review. My review is my own personal opinion. Creatively gifted with a resilient spirit, college student Chloe Moray (Ramos) finds solace from a difficult childhood in her art. But when a terrifying dream begins to recur night after night, Chloe starts to believe that it might be a suppressed memory and that she may be connected to the strange disappearance of a teenage girl twelve years earlier. Her search to find the answers sends her on a journey that forces Chloe to confront her own past traumas, while at the same time, helps her unlock a mystery that may bring a killer to justice. INTERESTED IN THE WILDFLOWER MOVIE? TAKE A CHANCE AND ENTER TO WIN BELOW!